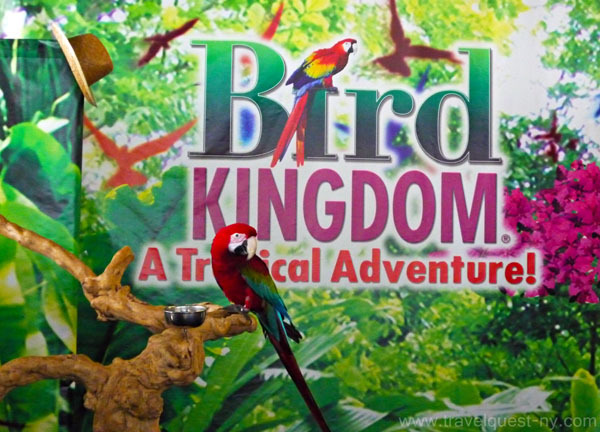 We had the pleasure of visiting the Bird Kingdom in Niagara Falls this weekend and since we both a bird lover we were looking forward to this exhibit. 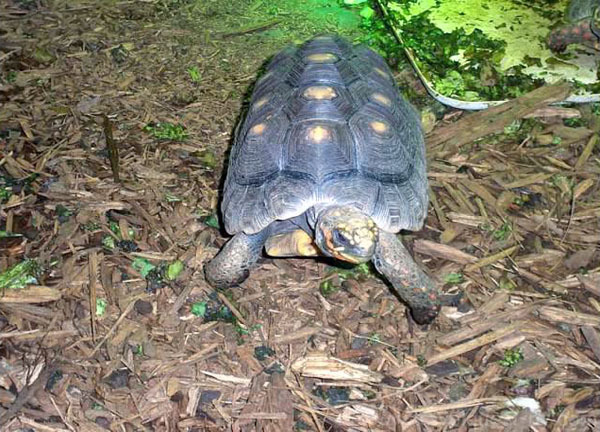 We enjoyed the experience it exceeded our expectations - it has several exhibits, including a reptile room (where you can interact with and hold lizards and snakes), a normal bird aviary, a nocturnal area, and a large open large bird aviary. We like the main aviary. You can actually take pictures with the birds really close without them flying away. It seems like they are not afraid of people. 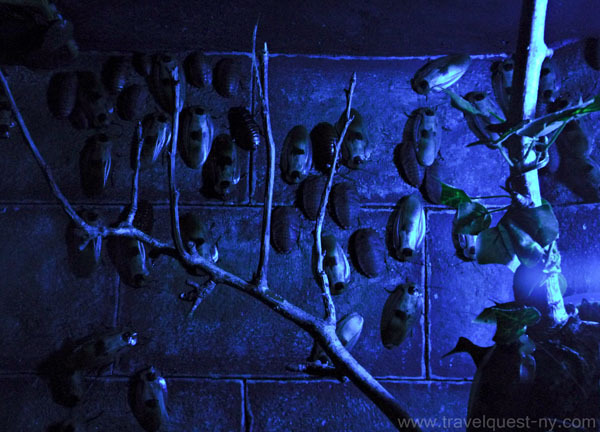 When you have finished observing the beautiful birds in this section, you go through a dark area of "night creatures", bats, owls and so on. Finally, after leaving the night section, you enter the main aviary. This truly is magical: a large, and very pretty waterfall which one can walk behind, walkways throughout, and so many beautiful free-flying birds. It was just wonderful being able to get so many photos of the birds from all different angles. They are very used to people, so I managed to get really close to them for the photos. There is also a tea house/snack shop in the middle of this section. Over all, it's a great place to go to if you love birds, photography, or just want a difference in pace from the Casinos or Clifton Hill. 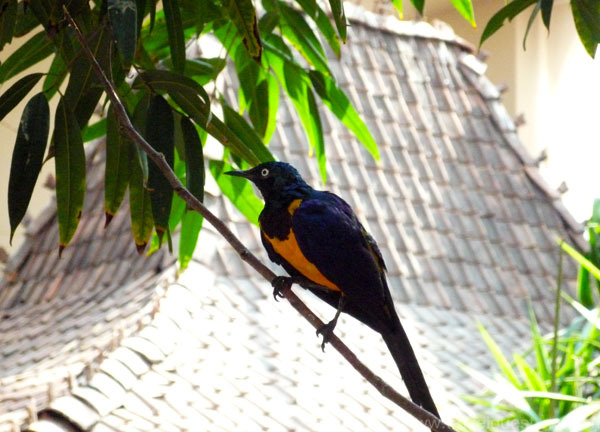 Nature lovers from around the world will be in awe of Bird Kingdom. 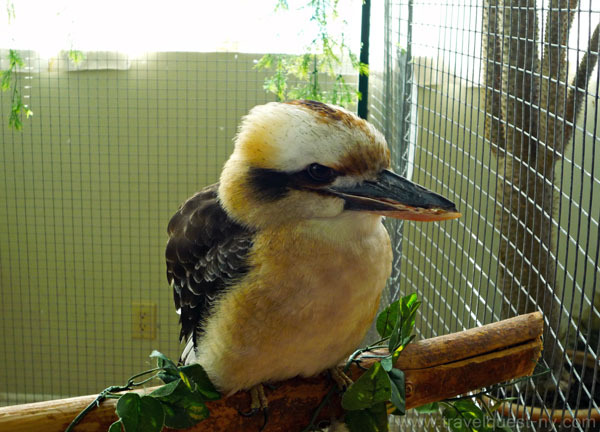 Bird Kingdom has been voted as one of the top 5 attractions at Niagara Falls. 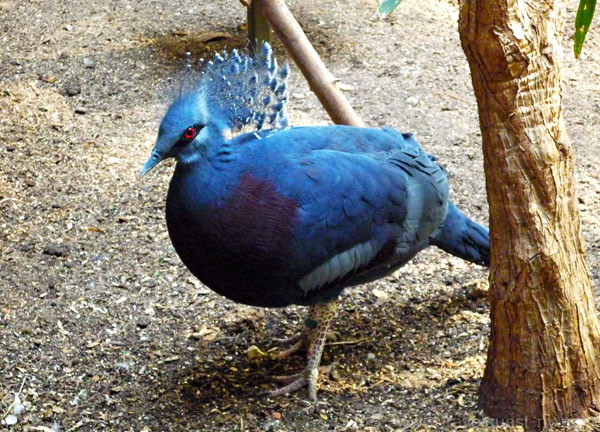 Can't tell if its a chicken or a bird maybe a little of both? Super cool pics. I would love to see in person. Gorgeous photos! I haven't ever seen them kind of cockroaches not in Michigan or in Alabama where they have Palmettos. They do not look like that, lol they fly too!! OMG talk about running from a cockroach lol even the German roaches fly here. They are out on the ground crawling through the leaves. We have to rake and burn them leaves to help get rid of them or we do get a few flyers in the house. 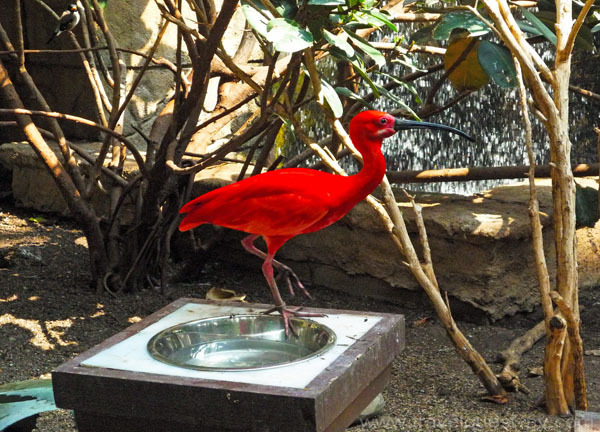 Oh wow, the red bird is just so captivating! Lovely photos sis. Oh my gosh that looks awesome! I love traveling but haven't made it to that part of the country yet. 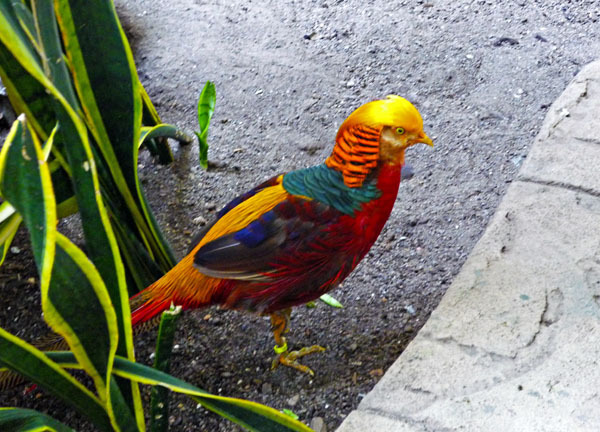 I would love to see this I love birds. Nice Pics! Do you have more? My 3yo is here with me and loves these pictures. Thank you for sharing. what fun trip you had. I love the pictures you have here, very entertaining. Beautiful creatures. 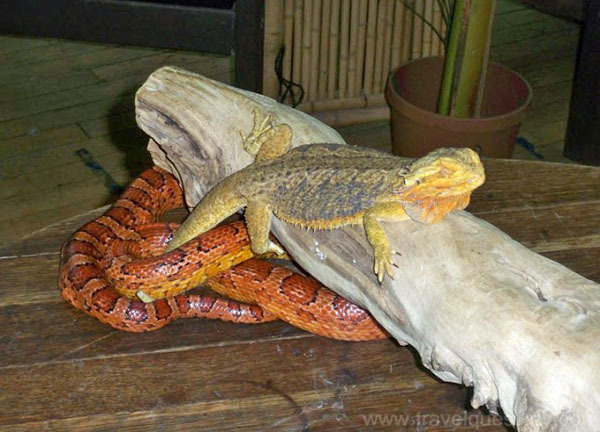 The snake and the lizard are so cool! Love all the animals! The bearded dragon and tortoise are my favorite!! That's another place to visit. A perfect getaway if you have kids. They'll learn so many things through the Bird Kingdom place. I never like snacks and lizards just way too slimy. I might skip the touching part, but will still take pictures for souvenir.